The 8-Port Cat. 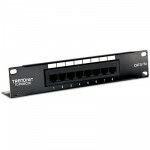 5e Unshielded Patch Panel, provides a 100 MHz connection to 8 x Gigabit RJ-45 Ethernet ports. 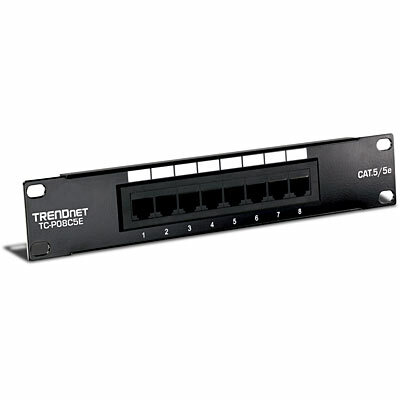 This 10 inch wide patch panel is well suited for home and SMB applications. Control cable clutter with included removable cable pass-through holders and cable ties. A writing surface above each port allows users to label respective connections. Use with TRENDnetâ€™s Punch Down Tool with 110 and Krone Blade, model TC-PDT, and RJ-11/RJ-45 crimp/cut/strip tool, model TC-CT68.